During a Feb. 20 news conference, Sheriff Chris Nocco said Port Richey Mayor Dale Massad is “lucky he’s not dead” after firing on Pasco SWAT team members assisting Florida Department of Law Enforcement Agents attempting to arrest Massad for practicing medicine without a license. Officers did not return fire and Massad was taken into custody without anyone being injured, Nocco said. After being taken into custody, Port Richey Mayor Dale Massad told the Sheriff’s Office he at first thought the loud bangs that woke him early in the morning were caused by Port Richey police officers trying to enter his house. Instead, the Pasco SWAT team was assisting the Florida Department of Law Enforcement arrest Massad on charges of practicing medicine without a license. PORT RICHEY  Sheriff Chris Nocco started his Feb. 21 news conference on a shooting incident in Port Richey involving Mayor Dale Massad by thanking God that no one was injured in the incident. Massad faces “multiple counts” of attempted murder for shooting at Sheriff Office SWAT deputies who were assisting the Florida Department of Law Enforcement arrest of Massad for practicing medicine without a license. The FDLE had asked the Sheriff’s Office for assistance in arresting Massad, the sheriff said. The SWAT members, who did an “unbelievable job,” did not return fire and no one was injured during the arrest, Nocco said. The heavily armed deputies took part in the arrest around 2 a.m. Feb. 21, Nocco told reporters, because Massad had been “profiled” as a “known drug user” with a criminal history who was known to have many weapons in his house. “That’s what we were dealing with today,” the sheriff said. The SWAT unit members, Nocco said, had clearly identified themselves while seeking to gain entry into Massad’s house on Hayward Lane in Port Richey. Several neighbors who had come out of their homes while the arrest was unfolding heard the deputies identify themselves as law enforcement officers, he said. In an arrest affidavit released a few hours later on Feb. 21, the Sheriff’s Office said that after being taken into custody, Massad told deputies he awoke to the sound of loud bangs and thought it was Port Richey police officers. He told deputies he got up, grabbed a .40-caliber semiautomatic handgun he keeps on his headboard, walked out of his bedroom and fired two rounds into a second-floor hallway. Instead of returning fire, the SWAT contingent withdrew, surrounded the house and was preparing to launch tear gas into the house when Massad came out of the residence and was taken into custody, Nocco said. Massad is “lucky he’s not dead,” Nocco said, because deputies would have been justified in returning fire. Although SWAT did not respond to the shots from Massad, one team member had fired a shotgun at the locks on the front door of Massad’s house when a battering ram failed to open it, according to an affidavit. The deputies then discovered the door opens outward, not inward. SWAT then deployed a “distraction device,” which causes a flash and a loud bang and then heard two “pops” from inside the residence. A SWAT member who is a certified firearms instructor said the popping sounds were gun fire, at which point the team retreated, according to the affidavit. At the Feb. 21 news conference, Nocco said the Sheriff’s Office could not yet release the video recorded by deputies’ body cameras because the incident is still under investigation. Following the arrest of Massad, Florida Attorney General Ashely Moody issued a statement on the incident. The law enforcement personnel taking part in the effort to arrest Massad have “very strong suspicions” the mayor was under the influence of drugs, Nocco told reporters. He declined to provide details on the information on which the suspicions were based, saying that was the subject of the investigation by the FDLE. 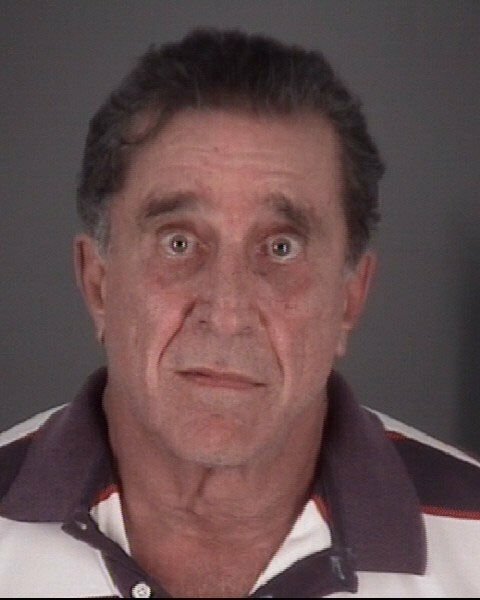 According to FDLE arrest affidavits, Massad, a former physician who is no longer licensed, has been performing medical procedures such as removing splinters and suturing a wound and giving injections of prescription medicines cortisone and local anesthetics. According to the FDLE affidavit, an unnamed person “began assisting in an investigation” and pretended to have a knee injury. The witness called Massad and Massad agreed to discuss the injury at his home, the affidavit states. Massad told the witness he had an injured tendon and would get the medicine needed to treat it and tell the witness where and how to inject it. Asked how someone with Massad’s history could be the mayor of a city, Nocco declined to comment, saying only that is a question the voters of Port Richey should be asking. Nocco did mention he had once been with the police department in Fairfax County, Virginia, in the Washington, D.C., metro area. Nocco then made a reference to the late Marion Barry Jr., who was arrested by the FBI on drug charges in 1990 after undercover surveillance video of him smoking crack cocaine became public. Barry spent six months in federal prison but after being released was re-elected mayor of the nation’s capital, in 1994.